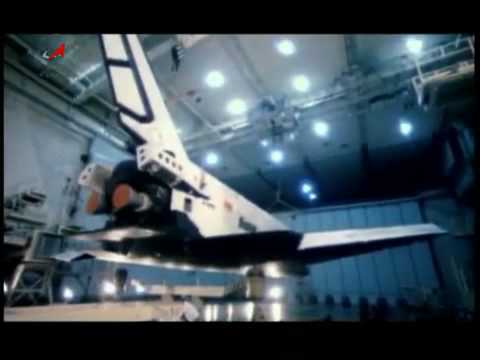 Some days ago TV Roscosmos published a reporting about space planes, Spiral, BORs, and Buran, and their military implications. 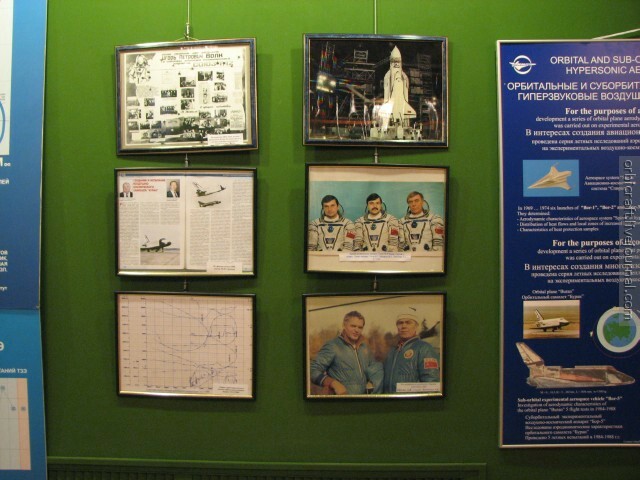 Their development were closely linked to the vision of Gleb Lozino Lozinsky (chief of the Buran project) which thought that space travels must be done aboard space planes. 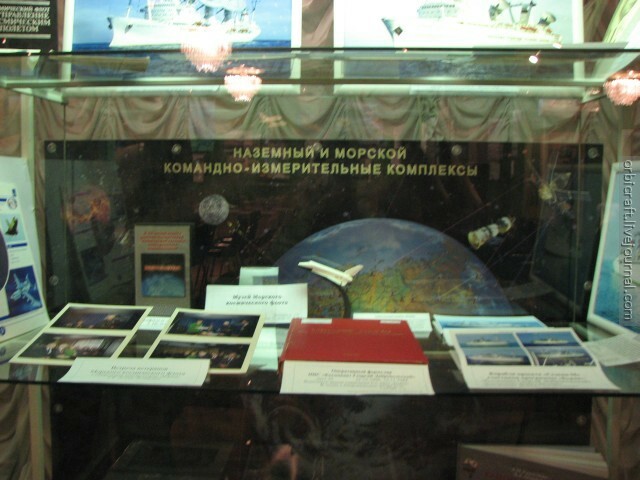 Posted on: 2010-04-16 under Buran, Energia, Web Site, BOR, Spiral. 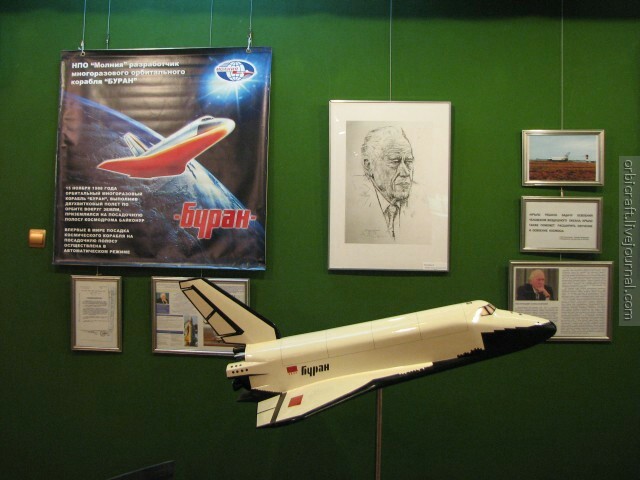 Gleb Evgeniyevich Lozino-Lozinsky (December 25, 1909-November 28, 2001) was chief designer of the Spiral and Buran space systems, on last december 25, he should have had 100 years. 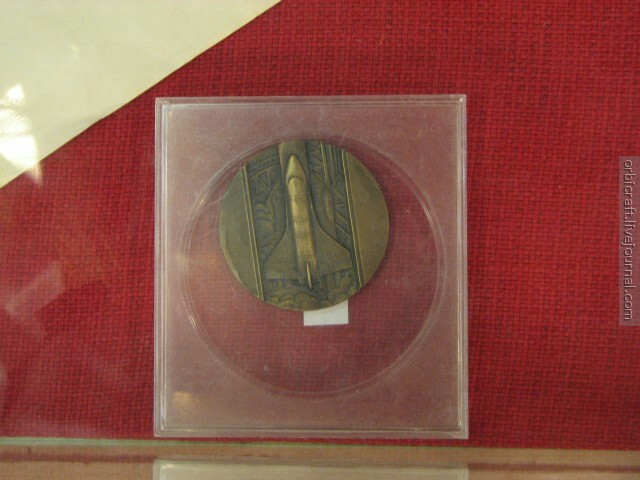 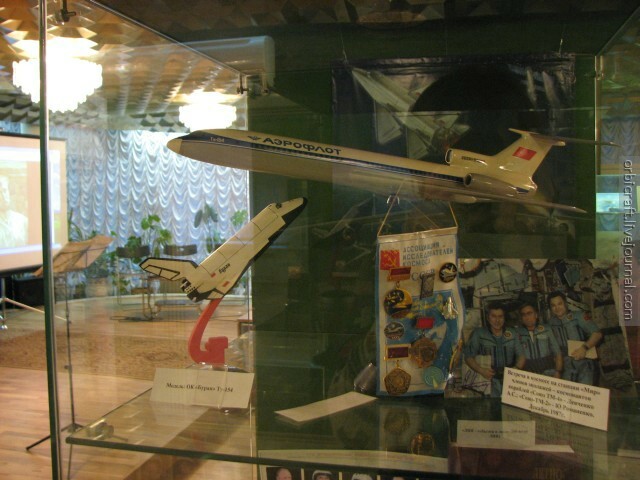 After his studies he became a plane engine specialist at the Mikoyan design bureau. 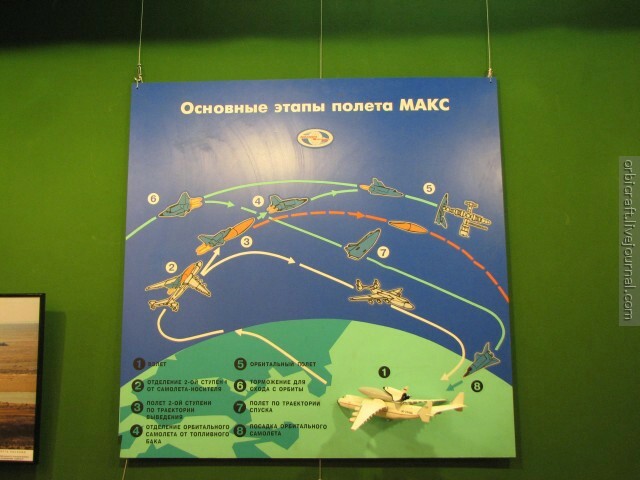 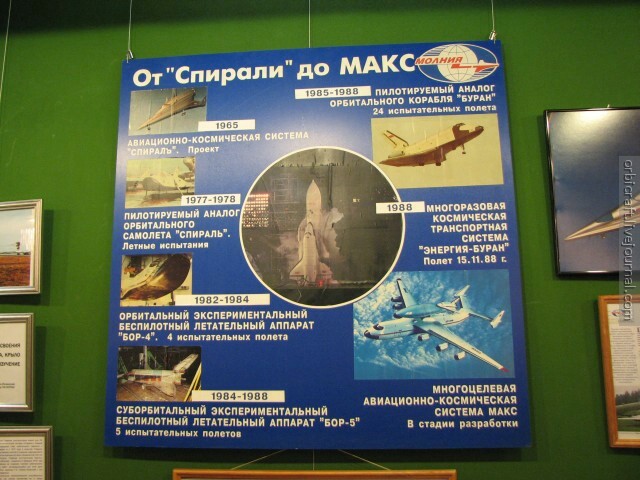 During the 60′s he works as chief project on Spiral program, then enter at NPO Molnya as the main constructor of the Buran space shuttle, in the 90′s he will start the MAKC project (small space shuttle). 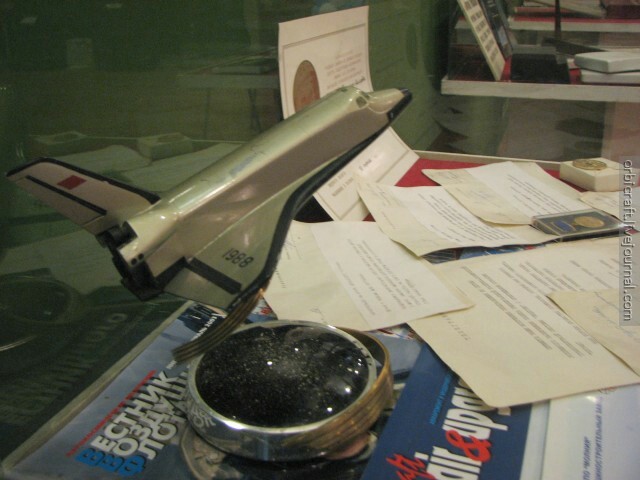 He was persuated that space travels should be done in winged spacecraft. 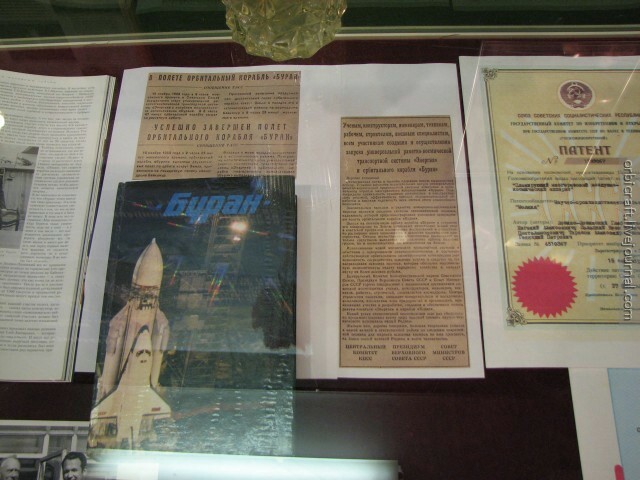 Posted on: 2009-12-27 under Buran, Non classé, BOR, Spiral. 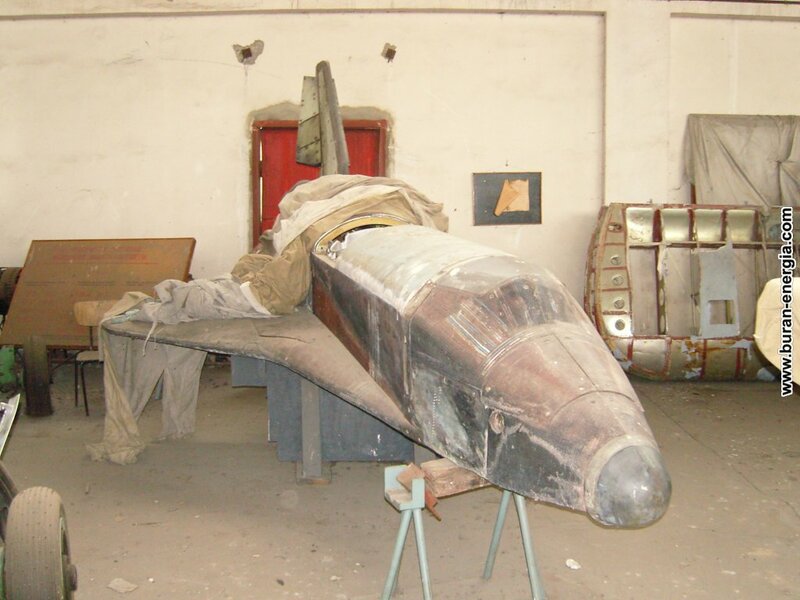 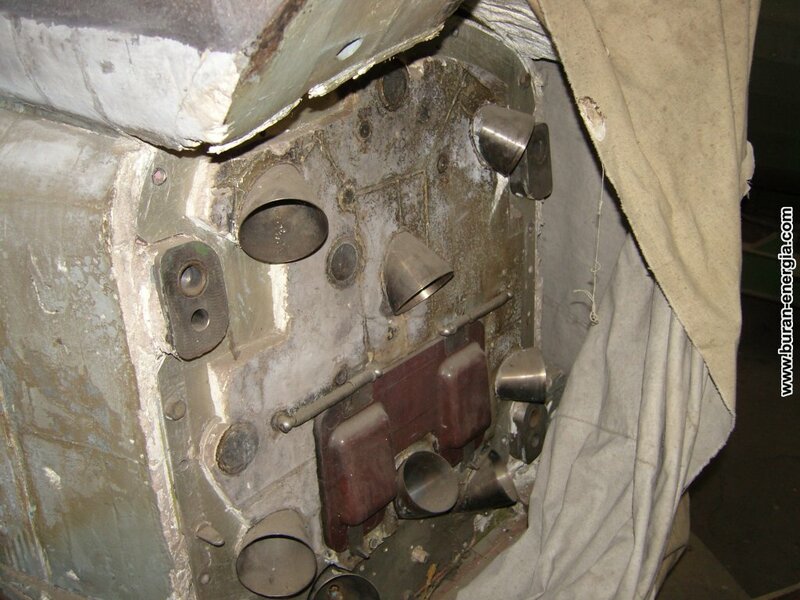 Here is some pictures of the last BOR-5 (more pictures) in Russia, it is stocked at the Monino airbase. 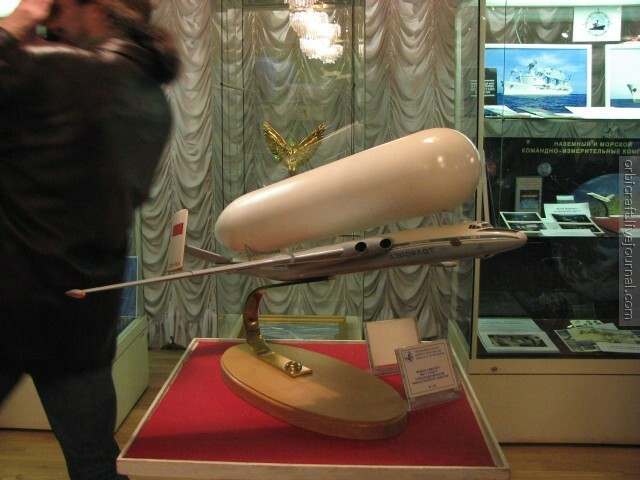 On those pictures we can see details on the temperature regulation system in the wings and attitude thrusters on the back. 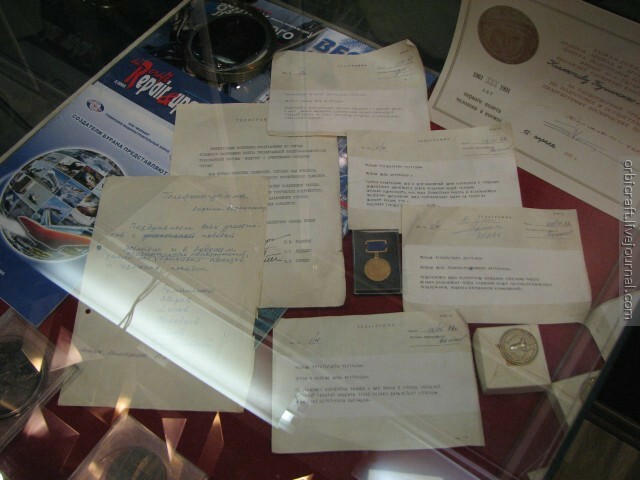 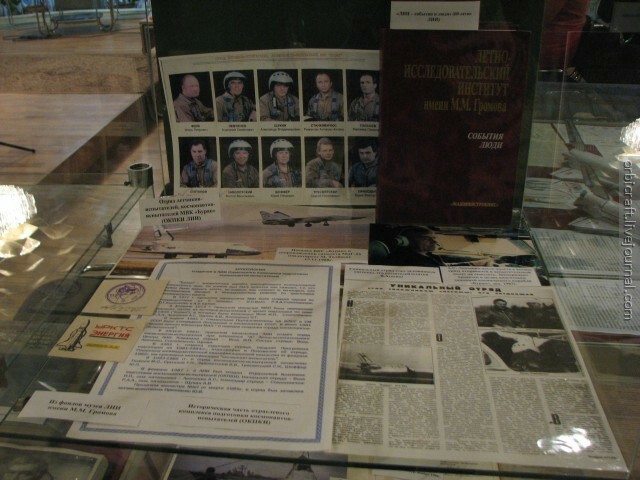 Posted on: 2009-11-25 under Web Site, BOR. 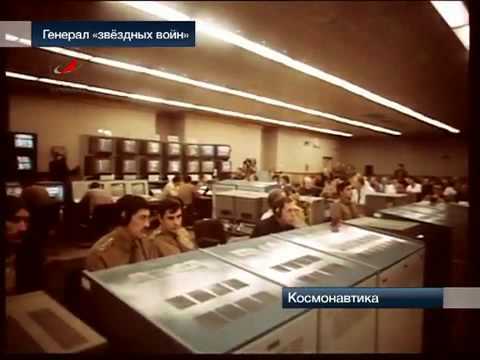 This reporting (in russian) was filmed in the LII company, it shows almost unheard pictures of tests of the BOR 2. 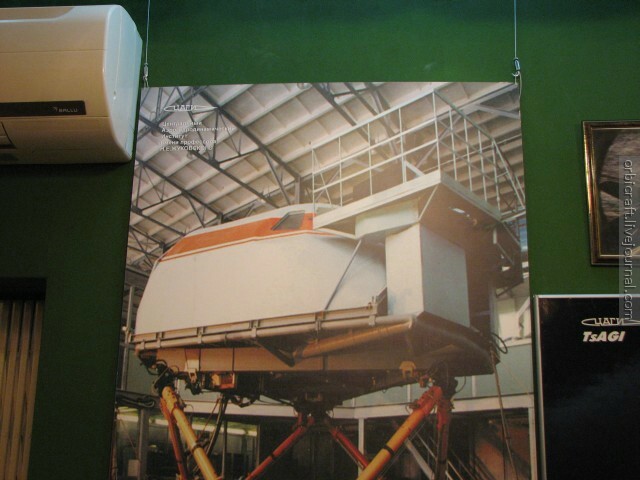 This project began 40 years ago, during the 60s, at the same period of time of the American DynaSoar. 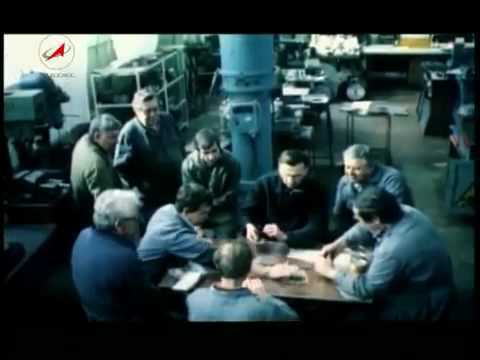 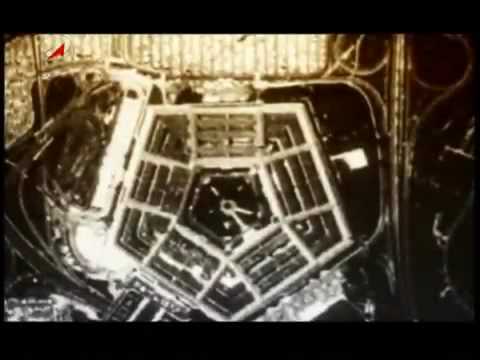 Other videos on BOR here. 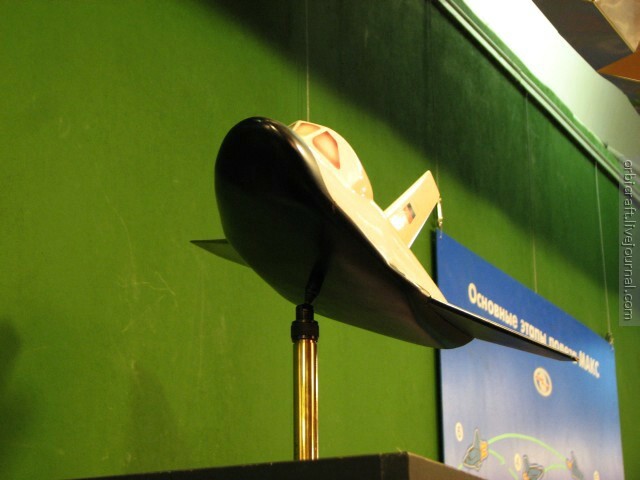 Posted on: 2009-06-17 under BOR, Spiral. 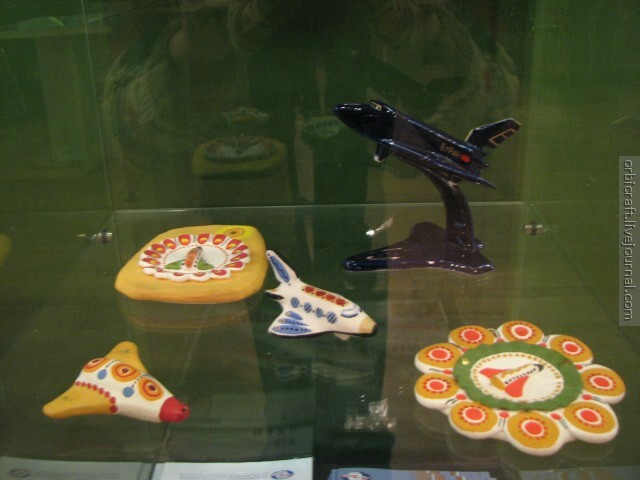 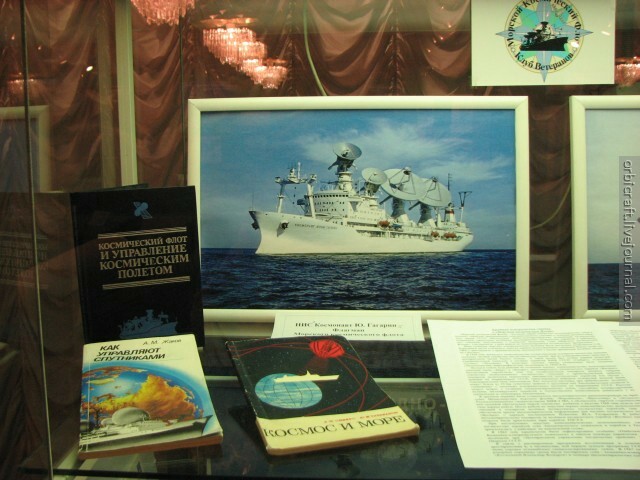 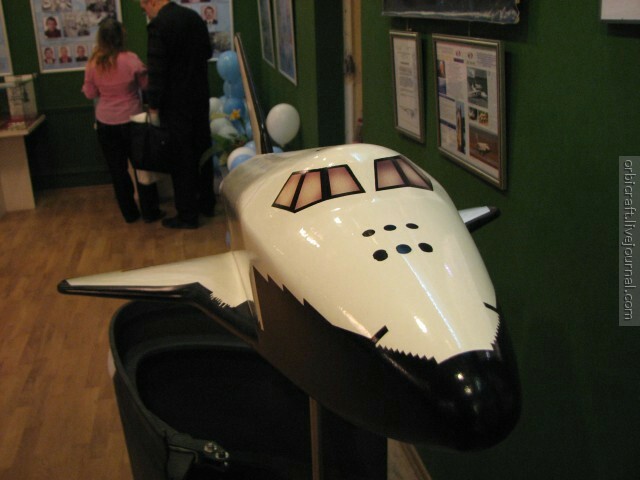 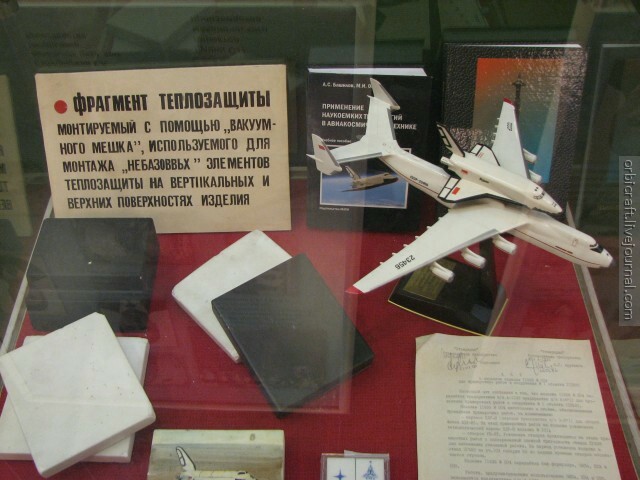 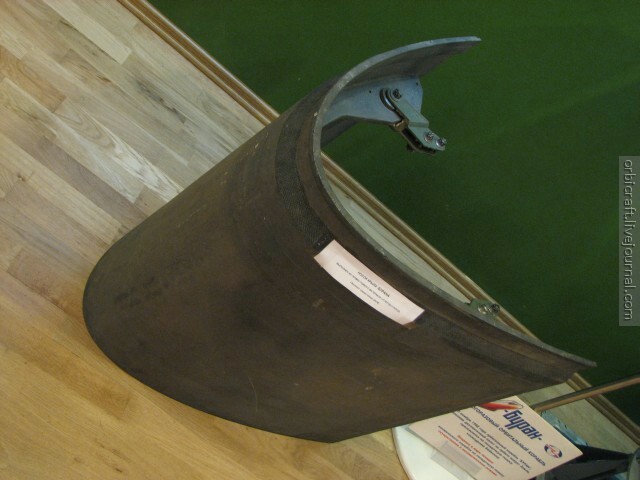 An exposition about the Buran-Energia project took place at Tushino from October 31 to November 23, 2008, it was about the 20th anniversary of the first flight of Buran. 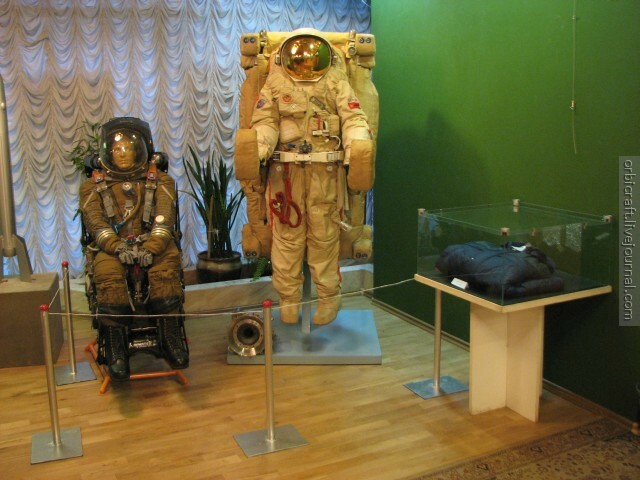 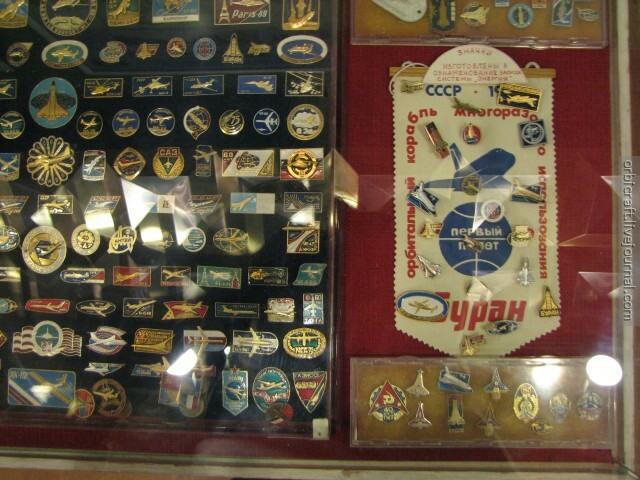 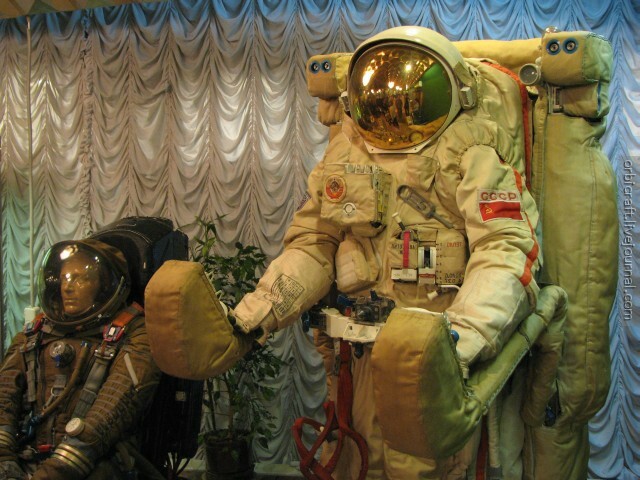 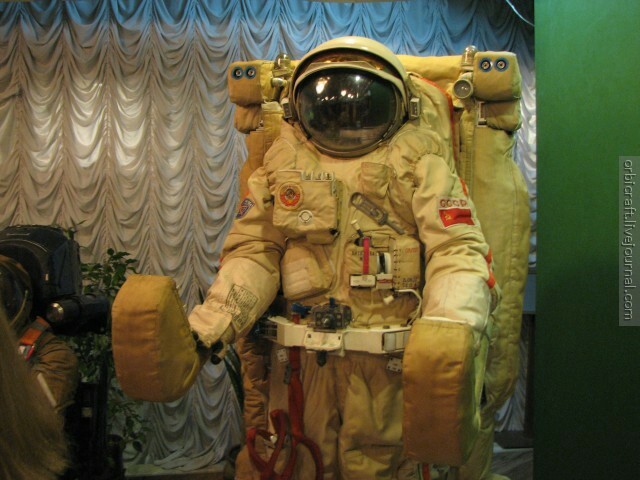 One can see Strizh and Orlan spacesuit (made by Zvezda), miscellaneous former documents, some model kit (Buran, Mriya, BOR/EPOS), and lots of pictures. 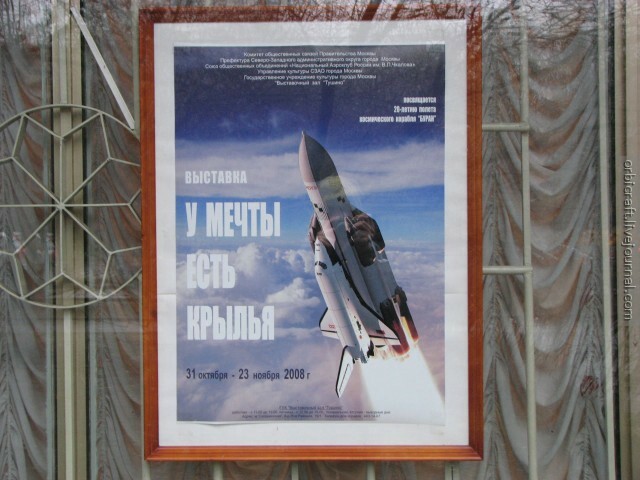 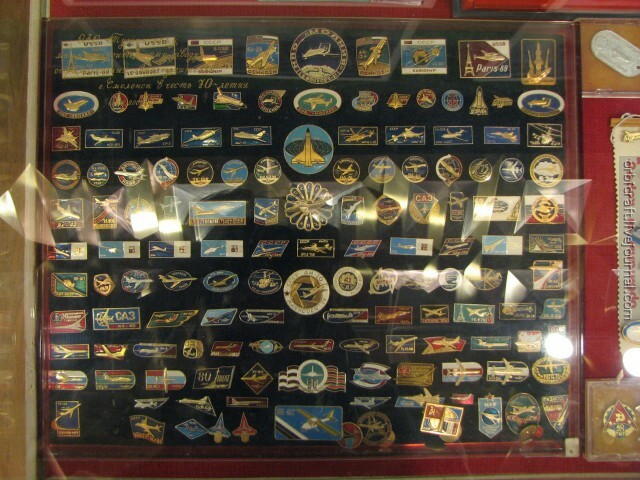 Posted on: 2008-11-28 under Buran, Energia, Mriya, Polyus, VM-T Atlant, BOR, Spiral. 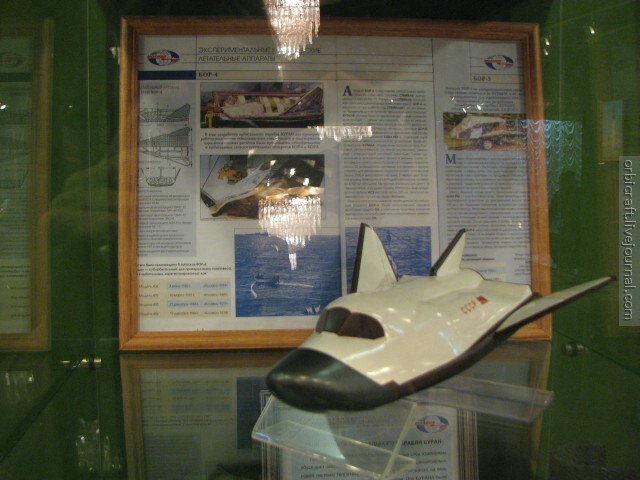 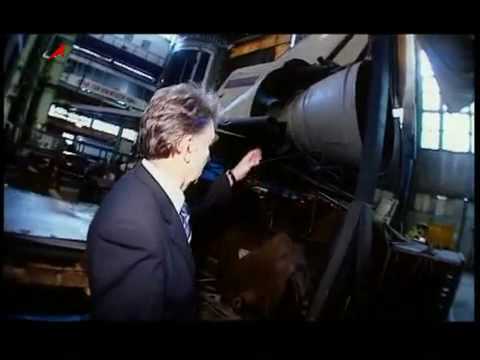 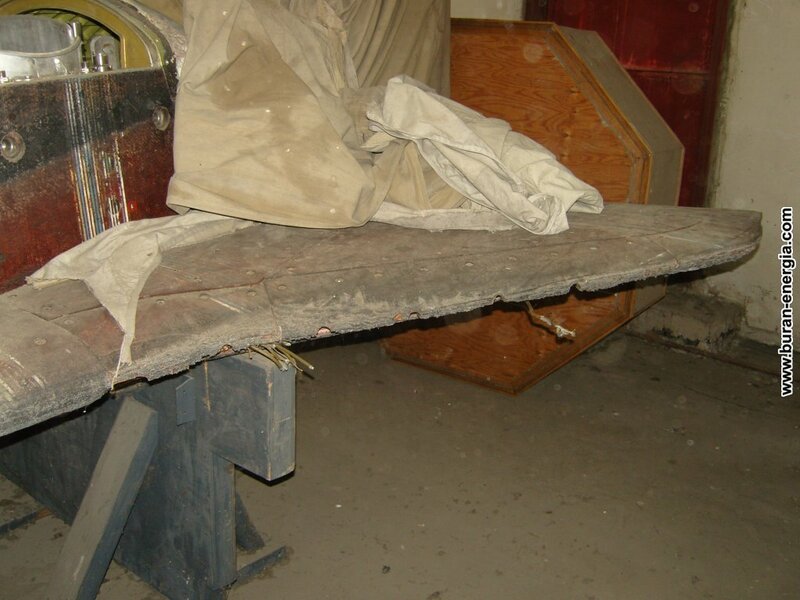 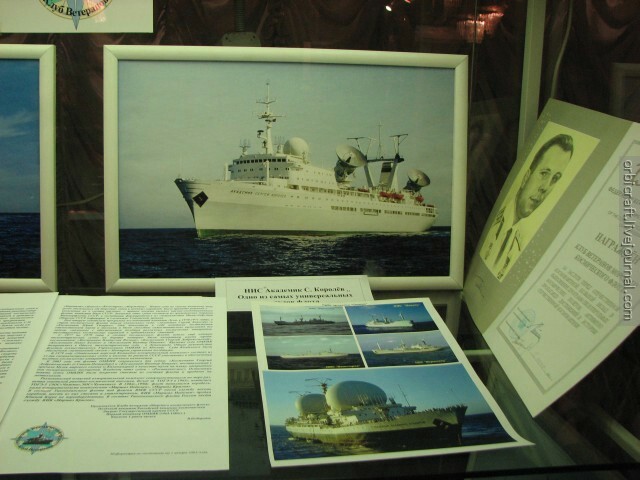 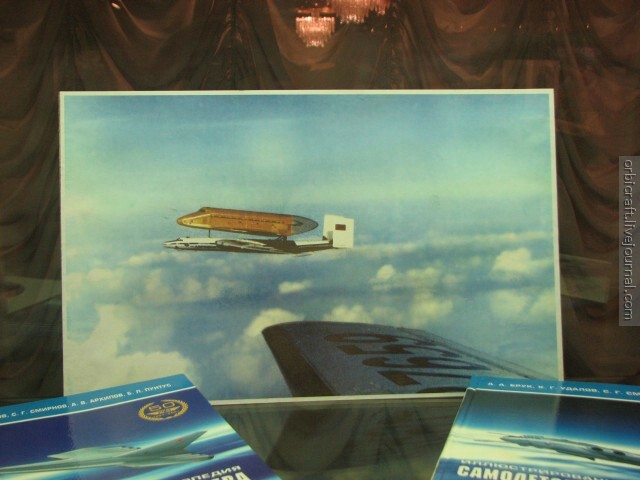 Here is a reportage about the sell of the BOR-5 mock-up which was broadcasted on CNN in 2001. 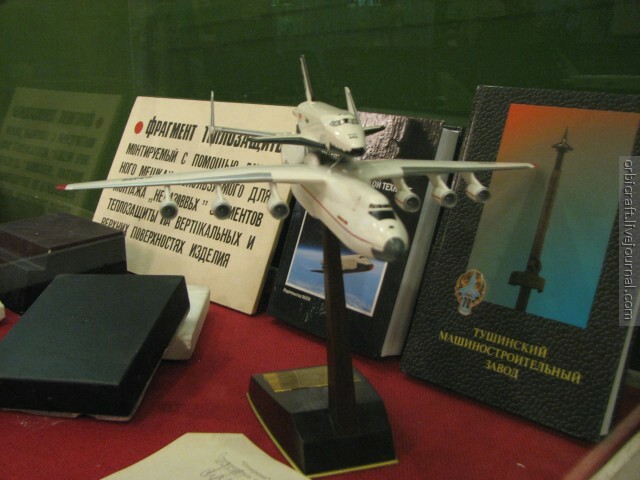 The BOR-5 is a mock-up at 1:8 of the Buran shuttle which was used to make suborbitals flights tests. 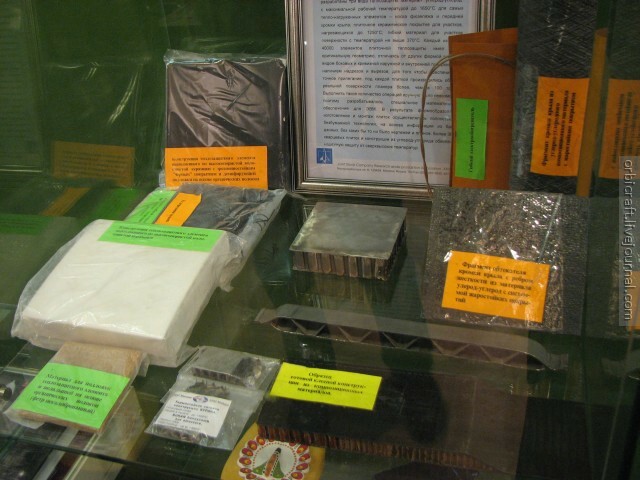 Posted on: 2008-06-29 under Web Site, BOR. 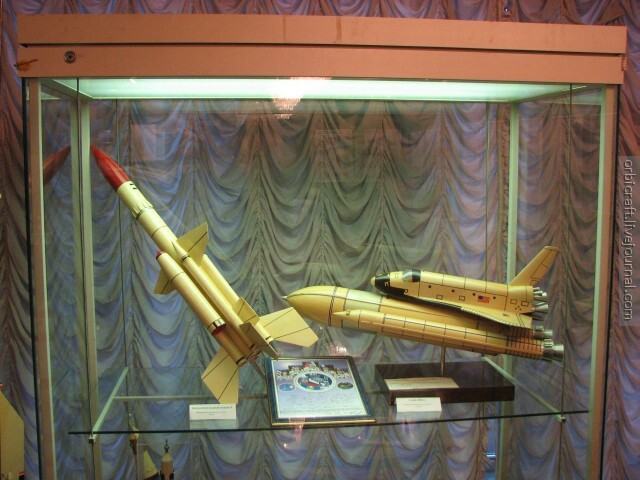 This 2 new modelisations are in-touch with the SPIRAL project. 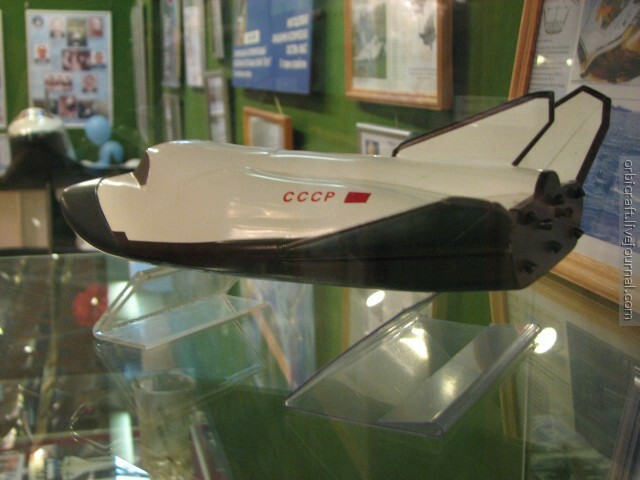 The first one is a detailed model of a BOR-4 (orbital plane without pilot), we can see the different on-board equipment, actuators and engines. 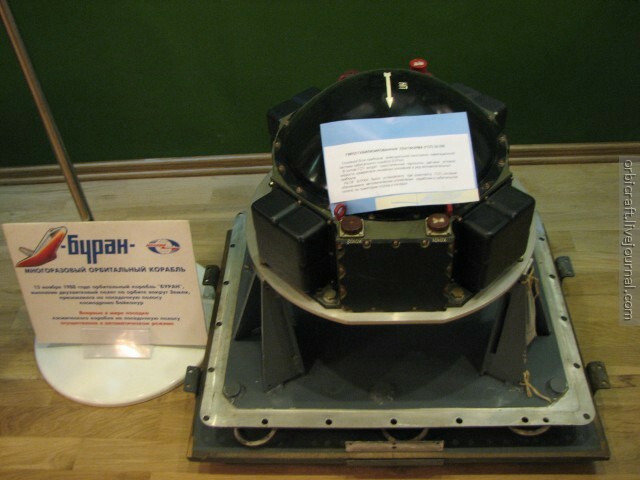 The second picture is one of an orbital plane mounted on top of a Soyouz rocket. 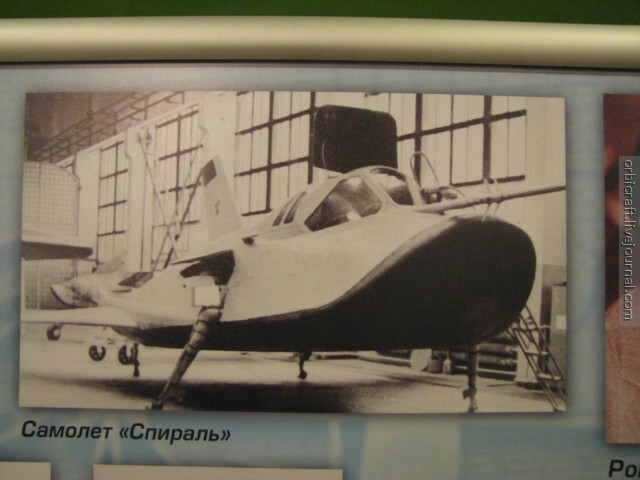 This combat plane was part of the SPIRAL program and could put into orbit by a launching plane GSR or simply by a semiorka rocket. 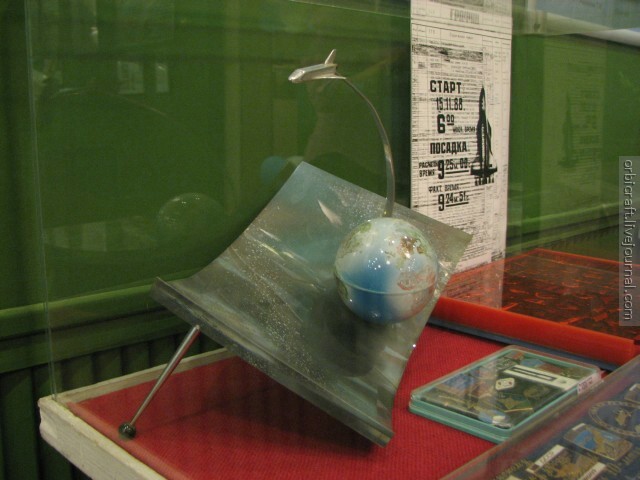 Posted on: 2007-10-05 under Web Site, BOR, Spiral.